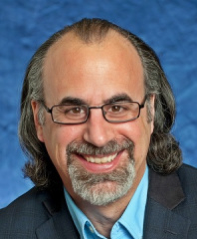 Dr. Stephen M. Fiore is Director of the Cognitive Sciences Laboratory, and Professor with the University of Central Florida's Cognitive Sciences Program in the Department of Philosophy and Institute for Simulation & Training. He is Past-President of the Interdisciplinary Network for Group Research and a founding committee member for the annual Science of Team Science Conference. He maintains a multidisciplinary research interest that incorporates aspects of the cognitive, social, organizational, and computational sciences in the investigation of learning and performance in individuals and teams. His primary area of research is the interdisciplinary study of complex collaborative cognition and the understanding of how humans interact socially and with technology. 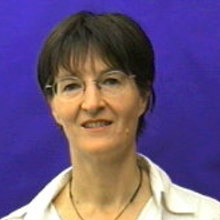 Professor Lorenza Mondada holds an appointed Chair of General and French Linguistics at the University of Basel. 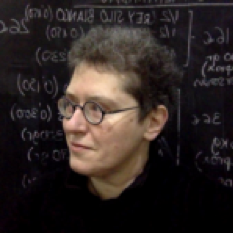 She is a leading worldwide expert in the field of linguistics, who has published widely on the interrelationship of language, embodiment, space and mobility. In 2001 she was awarded the National Latsis Prize – a prize awarded annually in Switzerland to the top researcher under 40. Her empirical studies of multimodal interaction in a wide range of activities – from rallying to cheese tasting – have been instrumental in viewing human language as a dynamic resource. Since January 2015 she is a Finnish Distinguished Professor at the University of Helsinki, where she develops a project entitled “Revisiting Language through Multimodality in Interaction”. Dr. Janet Wiles, is Professor at the School of Information Technology and Electrical Engineering (ITEE), in the Faculty of Engineering, Architecture and Information Technology, with the University of Queensland. She is research leader of the Co-Innovation group in UQ's ITEE School, and UQ node leader for the ARC Centre of Excellence for the Dynamics of Language. Her current research projects focus on Human-robot interactions, Indigenous language technologies, bio-inspired computation, visualisation and artificial intelligence. Previous projects have been in complex systems modeling in biology and neuroscience, human memory, language and cognition. The metaphor of the blind men and the elephant is often used to describe how one’s narrow perspective on an issue leads to misperceptions about some complex issue. Interdisciplinary research is no stranger to this parable; so much so that is has become clichéd. With the advent of the embodied, enactive, extended, and embedded cognition perspectives, we arrive at a place where we must avoid misconceptions about learning and cognition and discuss how to address these developments in the context of CSCL. Said most succinctly, through the embodiment thesis, one considers cognition as inextricably linked to the sensory-motor system with which one has been endowed. Via the enactive thesis, one considers cognition as tightly coupled between interactor and the environment. With the extended thesis, one considers cognition as existing as much in the world as it is in the head. In the embedded thesis, one considers cognition as best understood when situated within a particular context. On the one hand, like the blind men and the elephant, we could embrace these fractionalizations and pursue independent lines of inquiry to understand how technology can support distinct forms of learning and cognition. On the other hand, we could pursue a more holistic approach that integrates these varied theoretical perspectives to consider how technologies can augment the study of learning and cognition. In this talk I discuss how new tools and technologies allow us to embrace the latter approach via a multi-method, multi-conceptual approach with the group as the focal point. This is made possible through advances in interdisciplinary research allowing us to instrument and/or observe the world of interaction in ways never before possible. Importantly, though, we are observing interaction not just within, but also across, multiple levels. I discuss how this provides the opportunity to integrate levels of interaction for studying learning and cognition and provide representative research issues for CSCL to explore. How knowledge is manifested in social interaction is a key issue for understanding and documenting how knowledge is possibly negotiated, recognized, and learned in actual settings and activities. Recent work in interactional studies has debated how knowledge in interaction can be not only claimed but also displayed by self, how it can be attributed to self by others, how it can be intersubjectively recognized and negotiated (Heritage, 2012, Stivers, Mondada, Steensig, 2011). This might be observed in ordinary life, as well as in institutional contexts: in the latter case, institutional asymmetries might enhance epistemic asymmetries –for instance between lay persons and experts– but also be the arena for epistemic re-negociations and competitions –for instance between amateurs, connoisseurs and professionals. These recalibrations of knowledge claims and attributions are central in settings that are not devoted to formal learning but that are relevant for socialization into knowledge, culture, and expertise. Empirically the talk focuses on an exemplary setting of ordinary life in which these issues are observable and documentable in actual video recordings of situated practices. Encounters in specialized gourmet shops, in particular in cheese shops, constitute an arena in which participants engage not only in buying, but in displaying their identity as gourmet connoisseurs; an arena in which clients go not just for shopping but for learning how to taste and also how to speak about sophisticated food items. Knowledge, expertise and taste concern in this case both propositional knowledge (information about the products) and praxeological and embodied knowledge (know how to taste and to assess the products). The paper discusses different types of knowledge, verbal and embodied, and the way they are embedded in specific activities and sequential contexts. It offers methodological hints about their analysis, providing for both situated and systematic patterns, showing how they are expressed and enacted in situ, in negotiations that crucially involve talk and bodies, constructing social and epistemic identities. This talk will present a series of case studies in technology design, based on the child-friendly robots in the ongoing Opal project and analysis tools for interaction dynamics. Opie robots are primarily designed for physically-embodied social presence, enabling children and adults to touch, hold, or hug the robot, and to use its solid frame as a physical support. The key design issues start with safety of the users, which affects movement and speed; and safety of the robot from rough play by children. These capabilities enable different kinds of studies to those of commonly available commercial robots which are too fragile for rough use, or in danger of falling over, with potential for damage to themselves and a danger to children. The second design consideration for Opie robots is the speed of interaction, and how that can impact on human social engagement, which occurs in timescales of hundreds of milliseconds. Case studies will include Opie robots as story tellers in public spaces, such as science museums and technology showcases; Indigenous language robots as language assistants in classrooms and language centres; Lingodroids that evolve their own languages; and chatbots used for surveys and conversation. Insights from the development of multi-lingual robots include the critical role of embedding robots in communities and the extended nature of the robots’ influence within and beyond a classroom. The Opie real-world case studies enable us to reflect on fundamental questions about design decisions that affect when a robot is considered to be a social being; whether a robot could understand the grounded meanings of the words it uses; and practical questions about what is needed for a robot to be an effective learning companion in individual and group settings. The talk will conclude with an overview of two computational tools for analysing human-human and human-robot interactions, including conceptual recurrence analysis of turn-taking in conversations using Discursis and the timing of interactions using Calpy’s pausecode.